We took a stand this week against a request from the Department of Justice and what we viewed to be an overly-broad request for records. Maybe you’ve heard about it. Read about it. Seen us on cable news about it. We’ve heard from so many internet users concerned about the future of online privacy this week. The support we’ve gotten has been completely overwhelming. As we mentioned earlier this week, the next step in the process is to go before a judge to present our challenge to the Department of Justice’s records request. Chief Judge Morin of the Superior Court of Washington D.C. will preside over the hearing. Our hearing was originally scheduled for tomorrow, August 18th. It has now been rescheduled to next week. We believe that Chief Judge Morin will give this issue his full attention, and we look forward to hearing his measured, impartial opinion next week. We’ve gotten this question a lot this week. A lot. The best thing you can do is contact your elected representatives and draw their attention to this issue. 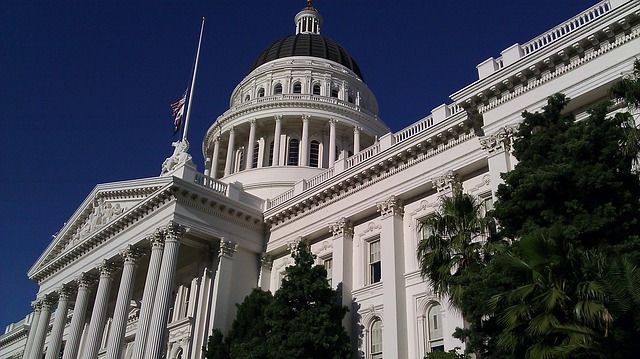 The wheels of government may turn slowly, but they turn a lot faster when there are more people pushing! For many of the people we’ve spoken with this week, that’s not enough. They’ve told us they want to contribute to our legal bills, and some of them have been pretty insistent about it. We’ve established a crowdfunding link for anyone who feels the need to contribute at https://crowdjustice.com/case/dreamhost. 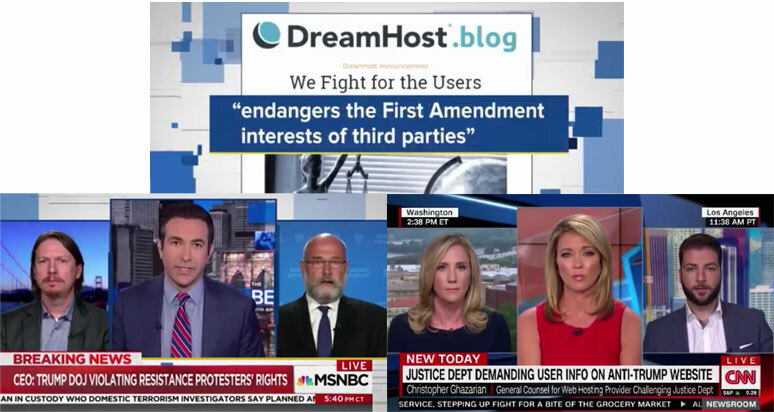 Any raised funds that remain after this legal action is completed (as determined by DreamHost) will be donated to the Electronic Frontier Foundation. 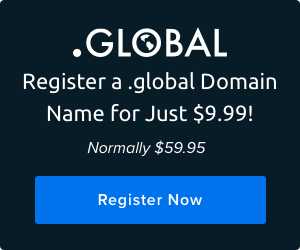 The EFF has been an ally and a supportive professional resource for DreamHost throughout this challenge. I applaud you for what you are doing and I’m following this case with keen interest! Thank you for standing up for your users!! Where can I find copies of the pleadings in this case? Thank you for fighting the good fight. This is an incredibly important issue. In any other time, there would be a bigger uproar about it and intense, sustained media attention. But in the world of President Donald J. Trump and emboldened Nazis and White Supremacists, the steady stream of assaults on our freedom and security are so constant that the signal to noise ratio makes it daunting for important fights such as this to get the attention it should have. I’m glad it has received what it has. I’m tired of thinking “Is this really happening? How can they do that?” week after week, sometimes day after day. It’s clear that our country is in a fight for it’s soul, and you are vigorously fighting on one of those fronts. I can do two things: 1) Thank you. And I do thank you. Thank you for fighting this battle for ALL of us. 2) Donate. My donation might not cover your legal bills, but it’s literally the least I can do. Thank you again for standing up for us all. It would be so easy to capitulate in the face of the overwhelming resources of the DoJ. Instead, you’ve stood up and taken the fight to those who would see our rights diminished, our people intimidated and our voices silenced. Instead, you’ve decided to fight – for all of us.